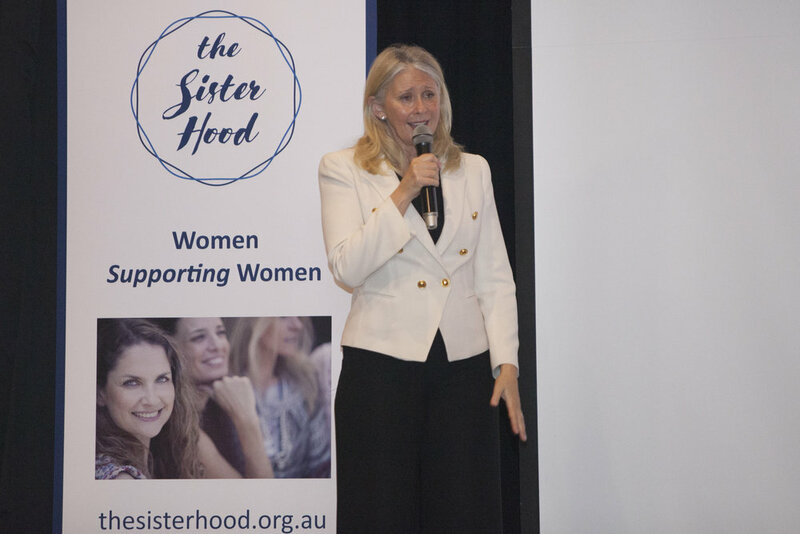 The Sisterhood with Tracey Spicer - Sell Out Event for Local Charities! Thank you to The Real Tracey Spicer and The Sisterhood for an amazing night. It was a sell out event with over 300 locals experiencing the wit and wisdom of Tracey Spicer who generously donated her time to help local charities. $12,000 was raised on the evening to be evenly distributed between Community Northern Beaches , Northern Beaches Women's Shelter, Dalwood Spilstead and Bringa Women's and Children's Refuge. So many supporters made this night possible with Balgowlah RSLdonating the venue, James Griffin MP, Member for Manly providing the introduction, and other locals and businesses donating their time and prizes for the evening. Tracey Spicer is an iconoclast. The television, radio, newspaper and online journalist is now a highly sought-after writer, speaker and trainer. Renowned for the courage of her convictions, passion for social justice, and commitment to equality, Tracey was a perfect representative of the values of The Sisterhood and the charities they represent. Many women visited Tracey after the speech to share their own stories. To all those who attended, thank you for your support. Community Northern Beaches will benefit greatly from the funds donated which will be used to support our clients who are experiencing homelessness, family and domestic violence, new immigrant settlement and family welfare. To our friends at Clontarf Sisterhood, thank you for your ongoing support not only raising funds but also increasing awareness within the Northern Beaches Community.